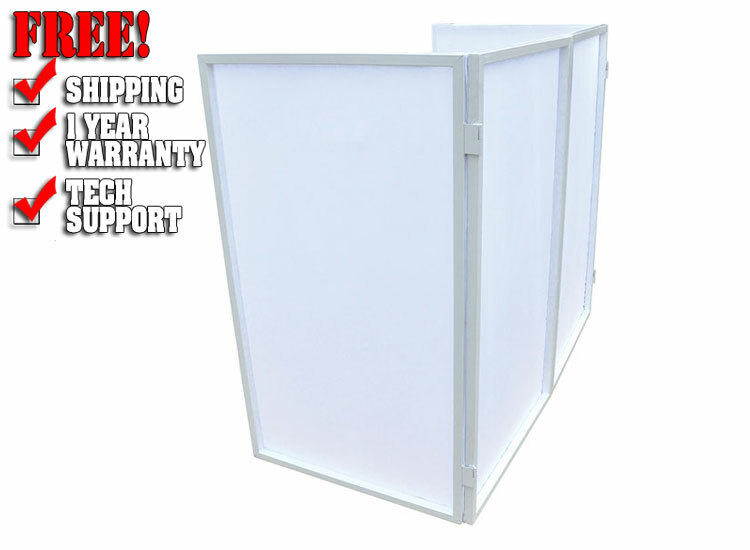 The DJS1 Black is the perfect solution to screen your equipment and give a professional appearance to your set-up. 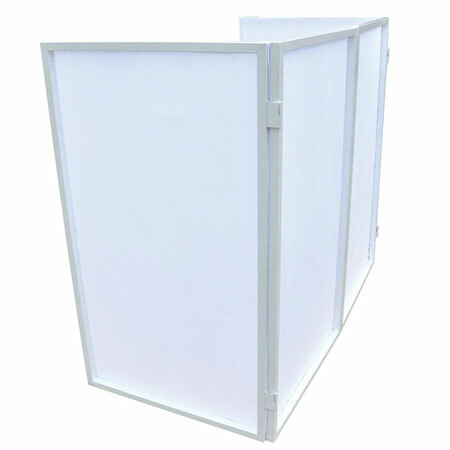 The four white elasticated scrim panels allow for rear projection which can be back-lit using any lighting source. 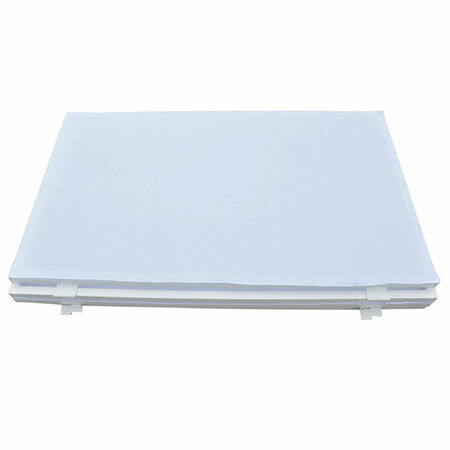 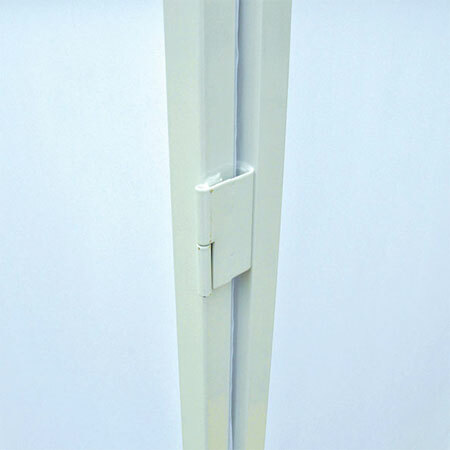 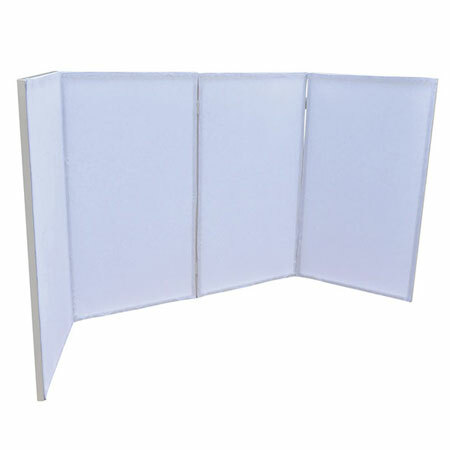 The panels attach by Velcro to the booth and are made from a machine washable and flame retardant material. 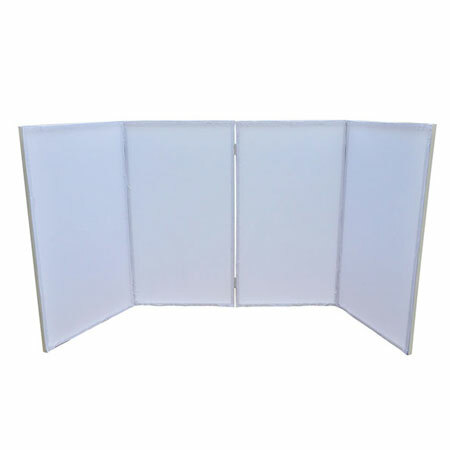 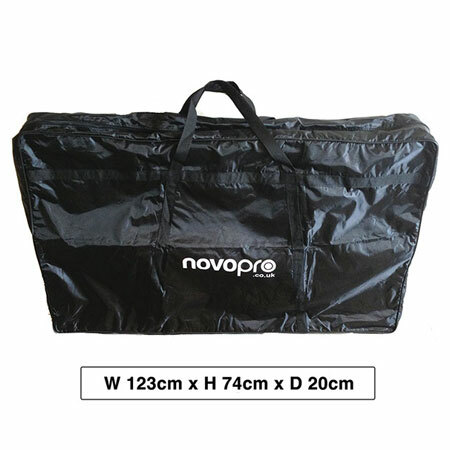 Spare scrim panels are available individually in either white or black.The DJS1 has a white powder coated paint finish (a black powder-coat version is also available) and comes complete with a zipped carry bag for easy storage and transportation.